Got to see some magic happen yesterday evening. The Smithereens played at The Kent Stage in Kent, Ohio and they were hands down the best rock ‘n’ roll band in the land last night, and staked their claim to being one of the best American rock bands ever. Certainly Dennis Diken is one of rock’s very best drummers, and Pat DiNizio has one of rock’s most distinctive voices… and last night Jim Babjak and Severo “The Thrilla” Jornacion stood shoulder to shoulder with them. It was a transformative evening and one of those times when you felt bad for the people who weren’t there listening to The Smithereens rock – the – house because it was the only place that mattered last night. Their love for and belief in the life-affirming power of rock ‘n’roll comes through in their playing and it can’t help but make you smile and transport you, if only for an evening, to a better place. 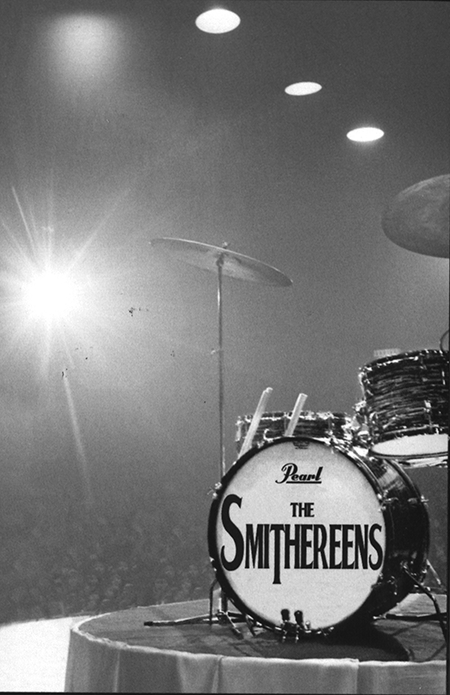 On the day when Chuck Berry passed away, there was no finer way to celebrate his legacy than by watching and listening to The Smithereens perform their rock ‘n’ roll magic.